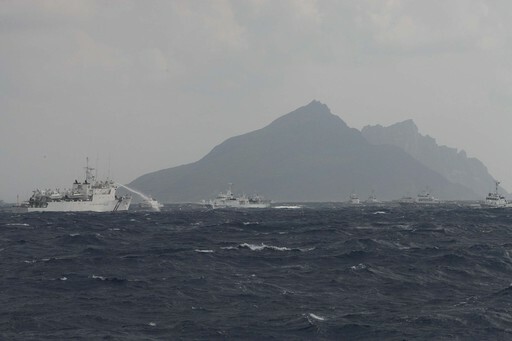 Taipei, Nov. 23 (CNA) Taiwan's government said Saturday it is concerned about the developments in East Asia following China's demarcation of an East China Sea Air Defense Identification Zone (ADIZ) that includes the disputed Diaoyutai Islands, which are also claimed by Taiwan and Japan. The government held a National Security Council (NSC) meeting, which was attended by heads of the ministries of national defense, foreign affairs, interior and the Mainland Affairs Council, to discuss response measures following China's announcement of the new ADIZ earlier in the day. Taiwan will stay in close contact with other concerned countries to ensure stability and peace in the region, the statement read. The Republic of China (Taiwan) government reiterates and will continue to safeguard its sovereignty over the Diaoyutais, according to a statement issued by the NSC after the meeting. "That stance will not be changed by China's announcement of the East China Sea ADIZ," the council said. Earlier in the day, Taiwan's Ministry of National Defense expressed regret over Beijing's move. China's Ministry of National Defense issued a statement on its official website Saturday, saying it had established the new ADIZ. The statement came with a map and a set of rules that said any aircraft entering the ADIZ must abide by its rules or be prepared to face "emergency defensive measures." "China's armed forces will adopt defensive emergency measures to respond to aircraft that do not cooperate in the identification zone or refuse to follow the instructions," China's defense ministry said. The ministry did not elaborate on the "defense emergency measures" but said the rules took effect Saturday. Noting that China's East China Sea ADIZ overlaps with part of Taiwan's ADIZ, the National Security Council said Taiwan's military will take measures to ensure the safety of the ROC's airspace under the principle of peaceful resolution. In view of the territorial disputes over the Diaoyutais, President Ma Ying-jeou proposed an East China Sea Peace initiative last August, which calls on all parties concerned to exercise restraint and address the dispute by peaceful means, the NSC said. The ROC is also repeating its calls for peaceful dialogue to deal with regional disputes and avoid escalating tensions, it added. The ADIZ "is not directed against any specific country or target," said a spokesman for China's Defense Ministry, Yang Yujun, on the ministry's official website. China established the zone "with the aim of safeguarding state sovereignty, territorial land and air security, and maintaining flight order," he said. "Normal flights by international air liners in the East China Sea Air Defense Identification Zone will not be affected in any way," he added.